Many thanks to David R Volker, a Vietnam Veteran, B-52 Pilot and our neighbour at EAA AirVenture Oshkosh 2015, for the extremely informative guided tour of the iconic Boeing B-52 Stratofortress. 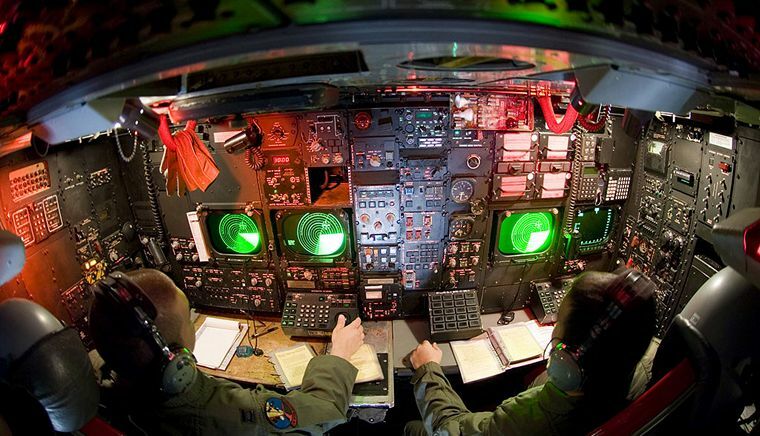 After almost seven decades of providing the United States with an immediate nuclear and conventional global strike capability the Boeing B-52 Stratofortress is still the most combat capable bomber in the U.S. inventory. Due to its superior performance at high subsonic speeds, long range, relatively low operating costs, high mission-capable rate, ability to employ accurate standoff weapons as well as continued upgrading retirement of the B-52H has continually been postponed. 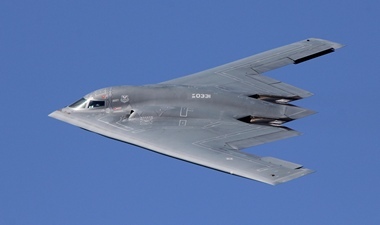 It has outlived the cancelled Mach 3 B-70 Valkyrie, the variable-geometry B-1 Lancer and the stealth B-2 Spirit and it now seems that it may indeed serve well into 2040. In June 1946 Boeing successfully bid for a replacement of the Convair B-36. The B-52 that first flew in April 1952 evolved from an original straight wing design powered by eight turboprop engines to a swept wing powered by eight turbojet engine. Designed to carry nuclear weapons for Cold War-era deterrence missions the B-52 Stratofortress entered service with the USAAF in February 1955. Like almost all new designs the BUFF (Big Ugly Fat Fellow), the B-52's official name Stratofortress is rarely used, had its problems. 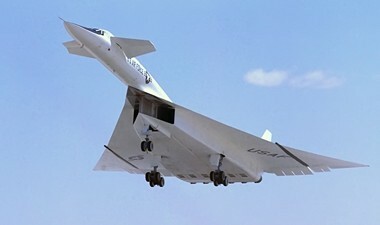 Ramps and runways deteriorated rapidly under the Buff's hefty 488,000 lb (220,000 kg) at maximum take-off weight, the fire control computers were unreliable and the fuel system was prone to leaks and icing. To top it all the J57 engines proved unreliable and in February 1956 alternator failure caused the first fatal B-52 crash and the fleet was briefly grounded. 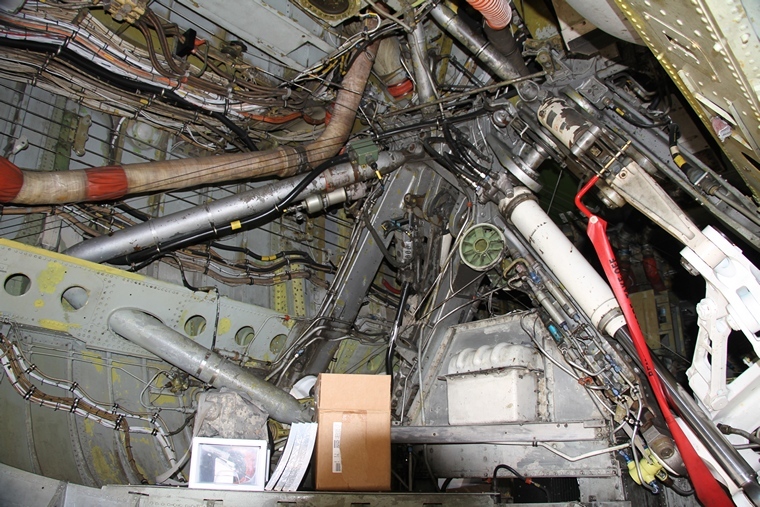 In July, fuel and hydraulic issues grounded the B-52s again. Development continued and the major problems were solved. The Cold War was threatening to turn into a nuclear holocaust and B-52s of the Strategic Air Command (SAC) performed airborne patrols loitering at high altitude near the borders of the Soviet Union to provide rapid first strike or retaliation capability in case of a nuclear attack. On 21 May 1956 the B-52, in a test, proved its nuclear capability when it dropped a thermonuclear bomb over the Bikini Atoll. As further proof that it was capable to deliver on its mandate to retaliate in case of a nuclear strike on US territory eight B-52s of the Strategic Air Command (SAC) flew nonstop around the perimeter of North America. The flight that covered 15,530 miles (25,000 km) lasted 31 hours, 30 minutes. In 1957 the Buff's global reach was demonstrated when three B-52B's made a non-stop flight around the world during which 24,325 miles (39,165 km) was covered in 45 hours 19 minutes at an average speed of 536.8 mph. The Buff continued to break records. On 26 September 1958, a B-52D set a world speed record of 560.705 miles per hour (902 km/h) over a 10,000 kilometres (6,210 mi) closed circuit without a payload. On 14 December 1960, a B-52G set a world distance record by flying unrefuelled for 10,078.84 miles (16,227 km). The flight lasted 19 hours 44 minutes at an average speed of 510.75 mph. Originally designed as a high altitude strategic bomber the B-52s role changed almost overnight to a low-level penetration bomber when the U-2 Spy Plane flown by Gary Powers at a height of almost 80,000 feet over the Soviet Union was shot down. 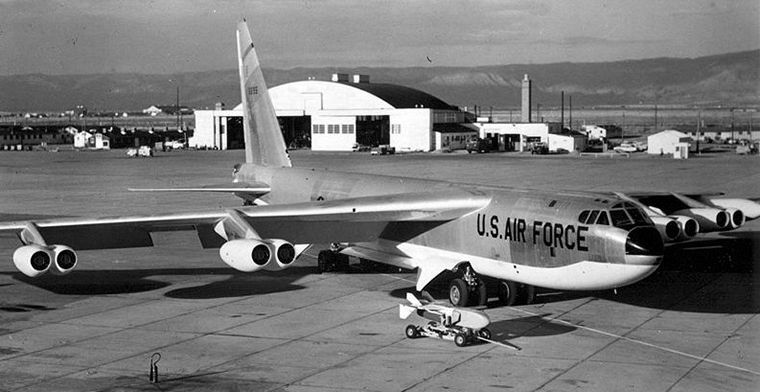 Although never intended for the low level role, the flexibility of the Buff's large airframe enabled the addition of multiple design improvements, new equipment, and other adaptations over its service life and allowed it to outlast the Convair B-58 Hustler and the General Dynamics F-111 Aardvark. It was in Vietnam that the Buff was first bloodied in active service when on 18 June 1935 thirty bombers flew the type's first combat mission. Task to bomb a Vietcong stronghold in the south of the country two Buff's collided in mid-air whilst a third returned to base due to mechanical problems. The mission that lasted 13 hours and covered a three square miles area was not a success, little more than 50% of the bombs fell within the target zone and the Vietcong forces had departed before the raid. 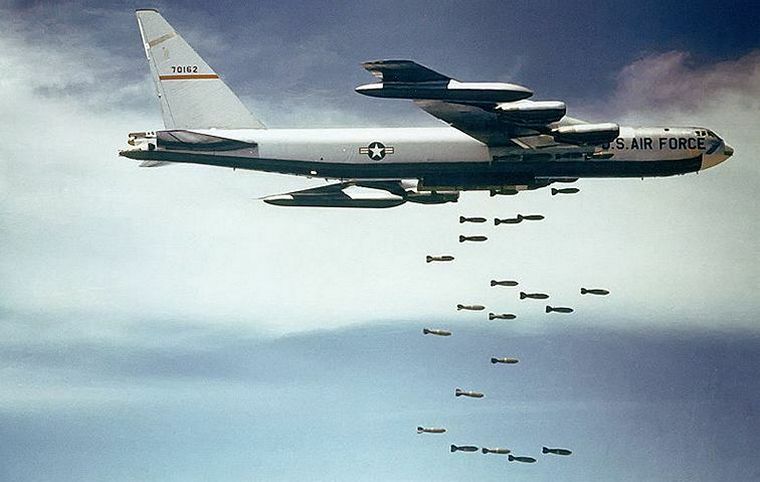 Beginning in late 1965, a carpet bombing campaign was initiated. 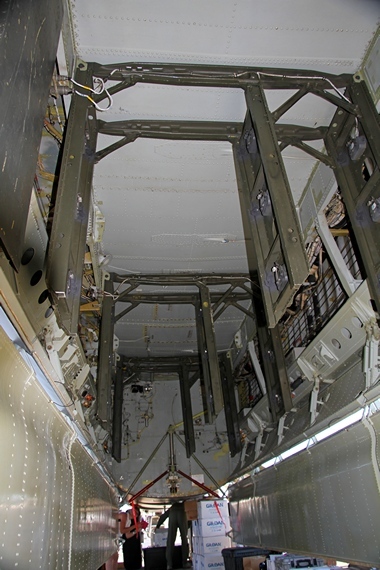 A number of B-52Ds underwent modifications to increase bomb bay capacity. The modification created internal capacity for a total of 60,000 pounds (27,215 kg) bombs. 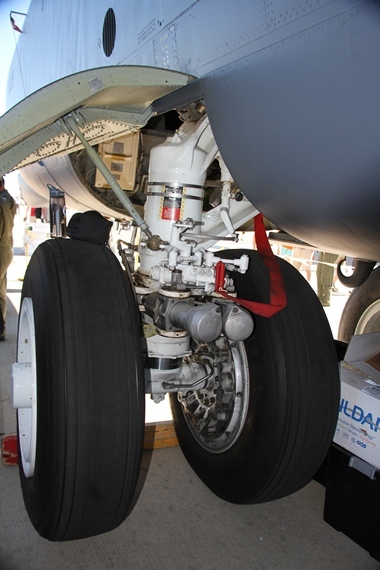 The external payload remained at 24 500 pound (227 kg). The modifications allowed the B-52Ds to carry 22,000 pounds (9,980 kg) more than B-52Fs. Carpet bombing operations were restricted to relatively uninhabited operational areas as a formation of six Buffs, dropping bombs form 30,000 feet, could almost completely decimate an area of 1.16 square miles (1.856 square kilometres). B-52 raids increased as the war dragged on reaching its peak with the bombing of Hanoi, Haiphong, and other targets during 1972. Over 12 days waves of B-52s flew 729 sorties and dropped 15,237 tons of bombs. Fifteen B-52s were shot down, five were heavily damaged and five suffered medium damage. A total of 25 crewmen were killed. The first loss of a B-52 due to enemy action happened on 22 November 1972 when a B-52D was hit by a surface-to-air missile (SAM) while on a raid over Vinh. In total, 31 B-52s were lost during the war, including 10 B-52s shot down over North Vietnam. Two MiG 21s were shot down by B-52 tail gunners during the Vietnam War. On 18 December 1972 during Operation Linebacker II a Buff was turning away when a North Vietnamese Air Force MiG-21 approached. The tail gunner Staff Sergeant Samuel O. Turner locked onto the fighter when it came within range and firing a burst from his quad (four guns on one mounting) .50 calibre machine guns and the MiG exploded. Six days later during the same bombing campaign tail gunner Airman First Class Albert E. Moore spotted a fast-approaching MiG-21. Moore opened fire with his quad fifties at 4,000 yards (3,700 m), and kept shooting until the fighter disappeared from his scope. The MiG catch fire and fell away. By September1973 all B-52Bs, Cs, E and F models were retired from service. Eighty D models were extensively overhauled and served until 1983 when they too were retired. The remaining G and H models were used for continuous 24-hour SAC nuclear standby duty until 1991. The B-1, that was intended to intend to replace the B-52, replaced only the older Buffs as well as the supersonic FB-111. In 1991 the gun turrets were permanently deactivated. After the fall of the Soviet Union all B-52Gs remaining in service were destroyed in accordance with the terms of the Strategic Arms Reduction Treaty (START). Retired B-52s are stored at the desert storage facility often called the "Boneyard" at Davis-Monthan AFB near Tucson, Arizona. Remaining Buffs next saw operational service during Operation Desert Storm. The first flight took of form Barksdale AFB in Louisiana and refuelled in air, struck targets in Iraq, a journey of 35 hours and 14,000 miles round trip. Other strikes were carried out form Jeddah, Saudi Arabia; RAF Fairford in the United Kingdom; Morón Air Base, Spain and the island of Diego Garcia. During Operation Desert Storm B-52s flew about 1,620 sorties and delivered 40% of all weapons dropped by coalition forces. In 1999 Buffs served as part of Operation Allied Force throughout the Federal Republic of Yugoslavia bombing Serbian targets. Two years later they were again in the thick of things in Afghanistan during Operation Enduring Freedom when their ability to loiter high above the battlefield and provide close air support through the use of precision guided munitions were put to good use. B-52s dropped a third of the bomb tonnage in Afghanistan. B-52s also saw action during 2003 as part of Operation Iraqi Freedom. The USAF continues to rely on the B-52 because it remains an effective and economical heavy bomber. In 2013, 78 of the original 744 B-52 aircraft were still operational in the U.S. Air Force whilst a large number remain in long term storage.